Rosin is applied in soldering of various metals in the electronic industry and all kinds of repair work at home. This is a solid crystalline substance is also needed when cooking some protective varnishes and mastics. Rosin dancers rubbed the soles, and the musicians bows. So its application range is very wide. To make the rosin can be themselves. Manufacturer of rosin start by gathering resin. A base resin of all pine trees, but is most often used fir or pine. For the preparation of rosin on an industrial scale SAP collected from the trees for felling. In this case, made the notches in the lower part of which is fixed a metal chute or funnel. According to him, the resin flows in, tied to a tree receptacle. 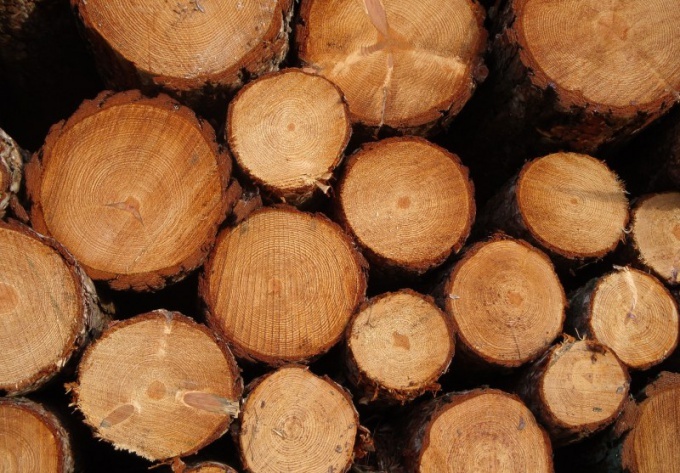 A sufficient amount of resin can be collected by logging or in a sawmill, where harvested timber is dried softwood. The resin is very often acts on the lumber and on fresh stumps. SAP is collected by winding it on a clean wooden stick. You can scrape it off with a scraper or with a spoon in a metal can or pot. A pot or jar with turpentine put on fire. It is best to prepare a resin on a fire outdoors. The resin will melt and boil, releasing a pair of turpentine. Periodically stir the contents of the pot, removing from the surface of the foam and pop-up waste. Heat the resin until, until you stop the boiling and the allocation of turpentine. In the process, avoid strong fire - otherwise the tar fumes can be ignited. If this happens, cover the pot with a thick cloth. Simmer water in this case is impossible. After the termination of the boil you in the pot will turn transparent viscous liquid characteristic amber color. Pour it in the prepared cardboard shape. You can pour resin and metal pans, and plastic, but cardboard it is easier then to get. If necessary, you can filter the resin through a fine metal mesh. Keep in mind that this substance hardens very quickly, so we have to work too quickly. The remains from the bottom of the pot into molds do not pour, there is usually accumulate debris. Leave the boxes to freeze in the air. The cooled resin is ready for use. Vapors of turpentine is toxic, especially harmful they affect the heart. Released by cooking rosin turpentine is also possible to collect and use. If you are cooking resin in summer, resin collect in an old metal kettle. On the nose, put the copper tube of appropriate diameter. Bend it in the shape of the coil, the other around a metal pipe. The end of the tube put in an open top container. The tube around which is wound the coil, pour cold water. Couples will condense in the coil and drain into the vessel. Kettle lid must be closed. At the end of the boiling tube with the kettle off. Drain the resin through the nozzle. Turpentine cool, pour into vessels and tightly zakuporte. 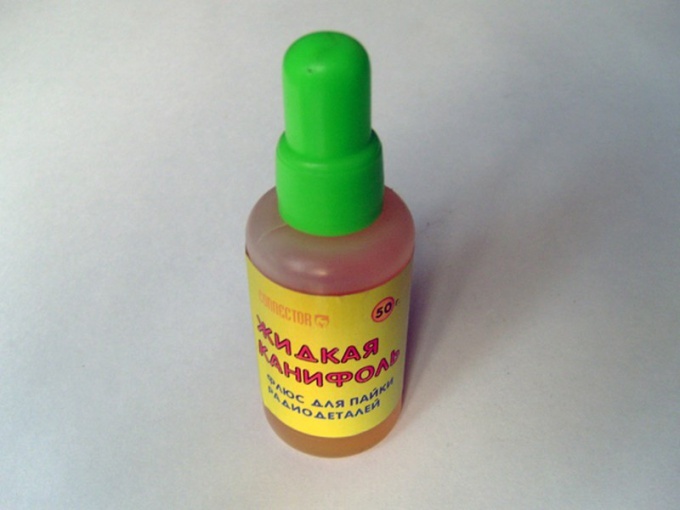 Small bottles with rosin sold in many hardware stores. Looking at them, you may have wondered what is this substance. It has many applications in various fields. Rosin is divided into two types: natural and artificial. First obtained from wood tar (usually pine), the second of cellulose. Natural rosin is considered to be of higher quality. But keep in mind that to use either resin or cellulose directly as rosin not - it must first be subjected to special treatment.This substance has long been used as a flux for soldering. Apply rosin for this purpose, both in pure form and together with other, more complex fluxes, for example, an alcohol solution or a special composition of LTI. How to clean rosin, and most fluxes based on it possess the important property of pH-neutrality. This means that they, unlike the acid flux, don't spoil over time, the treatment site and create almost no leakage current. Soldering of electrical circuits and electronic circuits can be done only with the neutral fluxes.Musicians playing stringed instruments, rubbing rosin bows. However, use it in conjunction with instruments that use bows don't require is pointless. Recommendation grease rosin mediator, sometimes expressed in the forums guitarists, has no Foundation. In ballet, a substance used to improve grip shoes to the floor, and in sports - athlete with a barbell, kettlebells or dumbbells.In addition, rosin is used in the production of artificial materials as both primary and auxiliary component. She is part of many flexible and rigid polymers, and even some detergents. And in the past it was used to avoid slippage in the belt gear - but now don't do that anymore, because it invented many devices for automatic maintenance of optimum tension.It should be remembered that while in the air small particles of rosin it is unacceptable to use open fire. If you know what is made of resin and which is considered the most the best possible to ensure high quality soldering. This resinous substance is used in many industries, including for the treatment of musical instruments. Rosin is a resinous substance that is used in the soldering process. It is pine and fir in the matter from the resin of the trees obtained. Rosin has long been used as a means for rubbing bows with which to extract the sounds from the violin and other stringed instruments. In the middle ages healers knew about the healing properties of pine and spruce resin, and used rosin powder as a therapeutic drug. The illusionists resin served as the assistant to show some tricks. At contests in archery warriors smeared it tips of their arrows to accidental injury not led to the contamination. Greece still preserved a tradition to use pine rosin for smearing jams and crevices of the barrels before pouring into them a white wine. In the SEVENTEENTH and EIGHTEENTH centuries, the resin was added to all lubricants. Therefore, travelling in carriages or carts were obliged to leave at the stations of his route charge for greasing the wheels, as the process of production of these viscous materials were very costly. How to use resin in our day? Rosin and its derivatives have found application in the manufacture of paper and paperboard, in the manufacture of plastics, synthetic rubber, artificial leather, varnishes, paints, mastics, linoleum. Rosin is one of the components of certain pharmacological drugs, need it, and in brewing. On its basis is made of a substance which increases blood circulation and is used in the manufacture of aromatic oils. But the most popular use of this resinous substance – soldering process. To connect the parts under the heat of the soldering iron needed to solder. Rosin contributes to its adhesion to the tip of the iron does not allow to spread over the surface. This greatly facilitates the soldering process and makes it more simple. To successfully connect the parts rosin can be rubbed (tin) designated spikes or, conversely, to immerse the soldering tip. And in that and in other case, the resinous substance will ensure the adhesion of the solder. The quality of the rosin depends on what raw materials it is made and the different ingredients. The budget is the product obtained from the wastes of paper production and contains plasticizer and preservative and chemical substances. Such resin cannot be used for processing of musical instruments, as it can damage lacquer coating and have a negative impact on the health of the musician. The best rosin Laubach. It contains micro-particles of gold of 999 tests. When soldering and tinning, as the rosin flux is typically used. 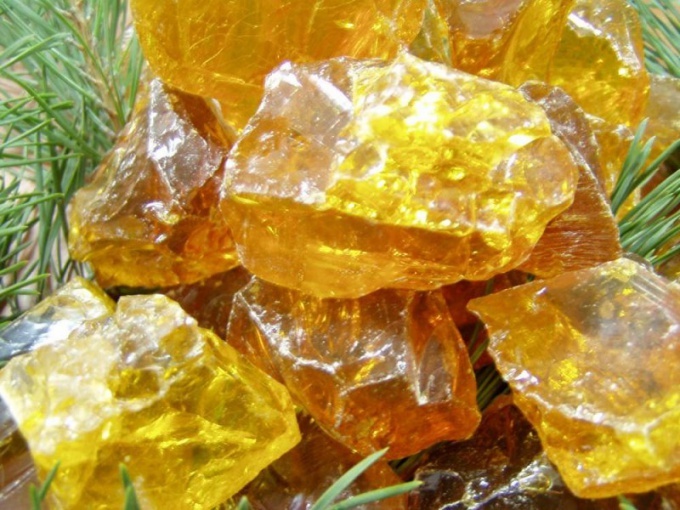 Solid caustic resin is a transparent mass that has color all shades of amber. For the convenience of frequently used solutions of rosin in alcohol or acetone, sometimes known as liquid rosin. The main function of rosin when soldering is to protect metal surfaces from oxidation. A solution of rosin in ethyl alcohol better flow on the metal surface than the molten resin, thereby soldering becomes more economical, and the spay cleaner. Resin in solution is applied to the cleaned metal surface before warming up the soldering, which in turn further inhibits oxidation of these surfaces. A solution of rosin in ethyl alcohol least toxic in comparison with a solution in acetone, so it finds greatest use in engineering. If necessary, you can get rosin on their own. As raw materials suitable oleoresin fir or pine. Take an old ceramic Cup and wrap the inner surface of the aluminum foil. Separately in a metal pot out of canned melt the turpentine, make it boil. Float on the surface of the debris flip with a metal spoon. At the end of the boil quickly, drain the liquid into a Cup wrapped in foil. Wait until the resin has cooled, shake it out of the Cup and peel off the foil. This process is flammable, to carry out the work needed outdoors. During the dry distillation of gum, turpentine stands out vapors which are toxic to breathe them in is impossible. For the same reason you cannot use the resin for soldering. Liquid resin you can buy. For example, it is sold under the trademark LTI-120. But you can make it on their own. Take a small glass jar with a tightly fitted stopper. Fill it one-third comminuted into powder rosin and pour ethyl alcohol. Alcohol can take both medical and hydrolysis, but certainly 96%. Tightly close the vessel stopper. Preparation of liquid rosin soldering precision is not required, and all work can be carried out "by eye". With occasional stirring and room temperature, the dissolving process will take 2-3 days. At the bottom of the vessel may remain undissolved precipitate is rubbish. Pour the solution into a clean vial without disturbing the sediment. It is best to pour the liquid resin into the bubbles with a brush on the tube, this brush is convenient to apply the flux on the surface. Rosin is a plant resin. Solutions of plant resins in alcohol are called spirit varnishes. Liquid resin as a varnish is used for coating wooden products, making them water resistant and non-conductive. A frozen layer of rosin is quite acid-resistant, which gives the opportunity to apply rosin varnishes etching of printed circuit boards, facilitating their further soldering. The disadvantage of alcohol-rosin varnish is some residual stickiness of the surface after it dries, especially when heated. But the drawback is some of the wizard can turn into an advantage, thus creating an anti-slip coating.